Kachelofens? Grundofens? Putzofens? What do these words all have in common? They’re German for stove. 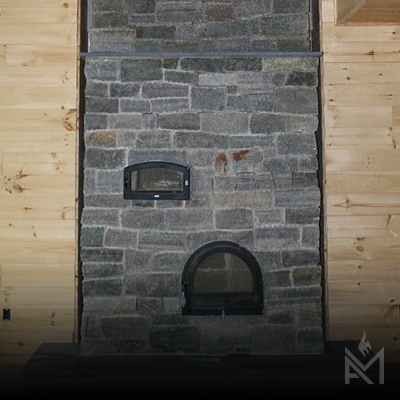 Sometimes called masonry stoves, they are the traditional fireplaces of Northern Europe. Refined over centuries to burn clean and efficient while keeping your haus warm and bright all through the nacht. 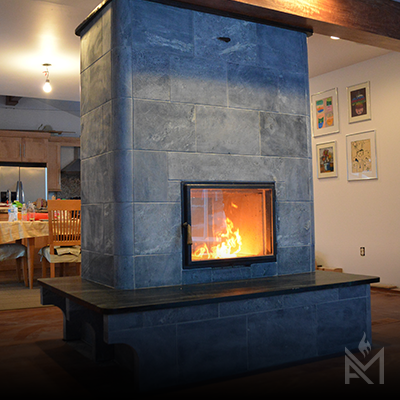 So why buy an American Masonry Heater? Footprint comparable to a wood stove. 22,500 btu's per hour. 6" Chimney. Masonry Heater with oven on either side. Woodbox option. Oven will be larger as it opens on the side. Btu’s 24,000-48,000 per hr. Weight 2700#+. Chimney exit top left rear of unit. Weight 3500#+. Up to 60,000 btu's per hour. Offset firebox. Bypass damper. Masonry Heater Kits come complete with all hardware needed to complete your kit. 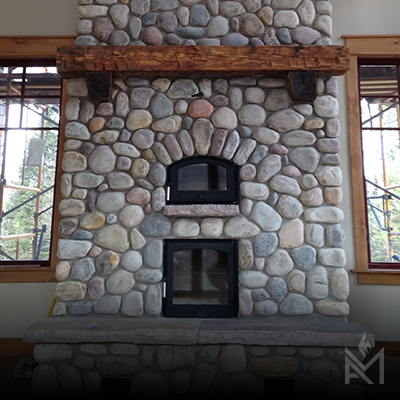 Masonry Heater Kits come with all hardware needed to complete your masonry heater. You will only need to add your foundation, veneer and chimney. 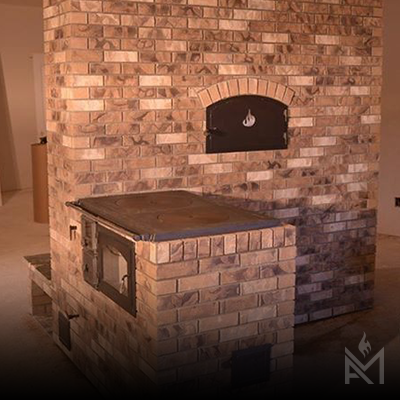 Masonry heater, oven and cookstove all in one unit! Batterywall and woodbox. Cooktop variations available. Weight is approx. 3,400#.